The State of Michigan has appropriated 1 million dollars for a Challenge seeking to prevent the movement of invasive carp species into Lake Michigan from the Illinois River through the Chicago Area Waterway System (CAWS). The Seeker is looking for new and novel ideas to function independently or in conjunction with those deterrents already in place to prevent carp movement into the Great Lakes or other locations. Reading through the challenge can be initially unsettling for two distinct reasons. First, the threat of Asian carp becoming established in the Great Lakes should bother all of us. 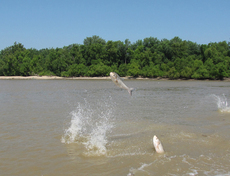 Two of the species grouped under the umbrella of “Asian carp” – bighead and silver carp – can grow up to 100 pounds and four feet long, and can eat as much as 40 percent of their body weight each day. Both species are so effectively intrusive that researchers compare them to cancer cells. When introduced into a lake or river system, their populations can grow so rapidly that they take up most of the available nutrients and space. Eventually, they push the native fish species out. 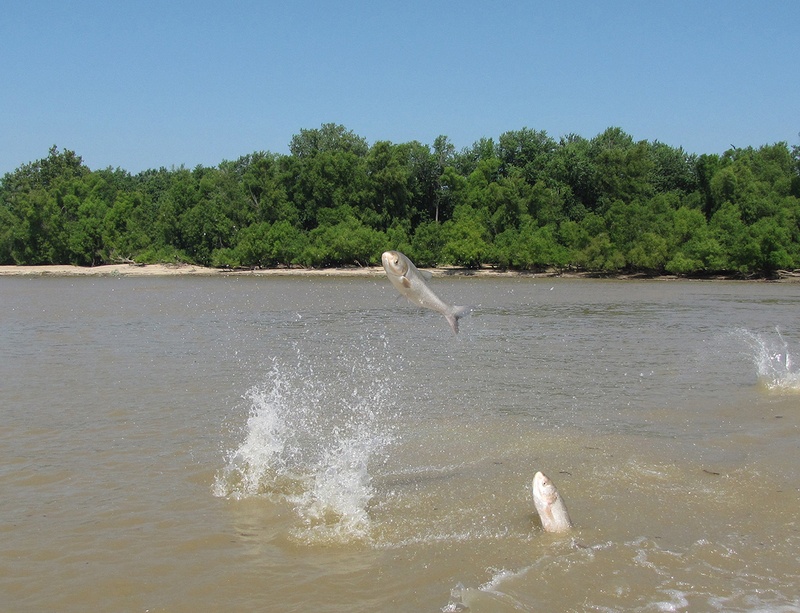 Missouri’s Department of Conservation estimates that these carp species make up 95 percent of the biomass in some Missouri rivers. If Asian carp become established in the Great Lakes, they could decimate Michigan’s fisheries and would have a significant negative impact on Michigan’s $2.43 billion fishing industry. Second, the announcement suggests government may not be up to the task of stopping invasive species. While the Department of Natural Resources does have an invasive species plan, it doesn’t appear to provide an answer to the problem. That can be unsettling for those who believe that government should have answers to difficult management questions. The economist Friedrich Hayek provides a word of caution and hope here. In his 1945 paper, The Use of Knowledge in Society, Hayek provides an interesting look at the idea that government can always have answers to important questions. Knowledge of the circumstances of which we must make use never exists in concentrated or integrated form but solely as the dispersed bits of incomplete and frequently contradictory knowledge which all the separate individuals possess. … The ‘data’ from which the economic calculus starts are never for the whole society ‘given’ to a single mind which could work out the implications and can never be so given. He was saying that one person or group can’t possibly be the source of all wisdom on a given topic. And although we must admit that the knowledge dispersed throughout our population may not have the answer to the invasive species challenge, when pulled together in a coherent form, it is far more likely to contain an answer. Faced with the reality that they have a legal and financial responsibility to tackle the issue, but have not yet solved it, DNR officials have reached out for help. They should be applauded for their willingness to crowdsource novel ideas for this challenge. Applying an economic incentive – in the form of a financial reward – may also help to encourage creative responses. Using incentives to gather dispersed knowledge on an important issue is a far superior option to hunkering down and relying on a single entity – in this case the DNR – to possess all knowledge on invasive species. This $1 million expense appears imminently reasonable when weighed against the potential losses to Michigan’s fisheries if Asian carp do become established in the Great Lakes.